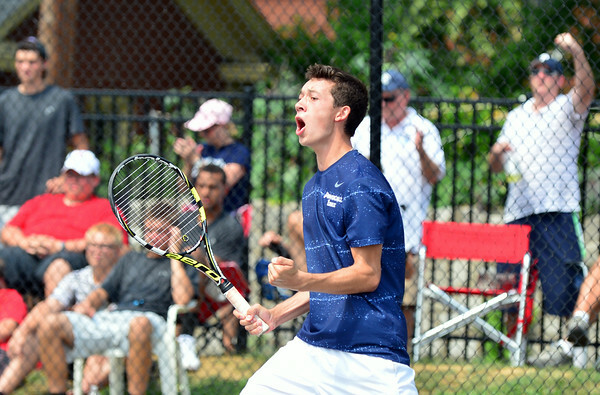 Providence senior Ryan Day celebrates after earning the match point over New Albany in the No. 1 doubles final during the New Albany Invitational Saturday morning. The Pioneer No. 1 doubles team earned their victory in three sets, 6-3, 6-4 and 6-4.